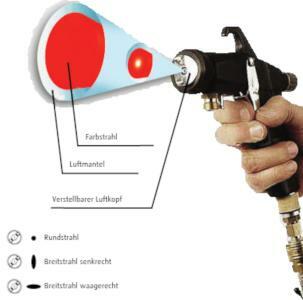 METACAP GMBH, Varnishing equipment, Paint spray guns with compressed air, Paint spray guns, mist-free, on EUROPAGES. METACAP GmbH in Lübeck, Germany is your supplier for perfect spray painting with no mist. The company was able to develop a new procedure that meant nothing stood in the way of batch production any longer, and so the assembly of mist-free paint spray guns began. This resulted in a product that reduces paint consumption by up to 50 per cent – and through this alone, considerable savings can be achieved. Thanks to the successful prevention of spray mist and the ease of cleaning the system, current legal requirements are fully adhered to. Paint and solvents are recovered or disposed of in a safe and environmentally friendly manner. 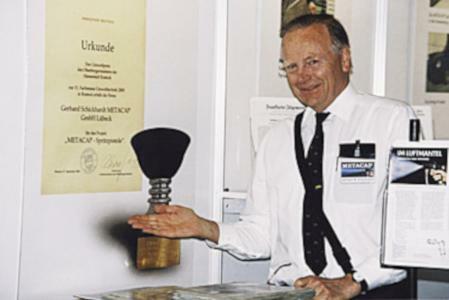 Metacap GmbH was founded in 1987. The once small business has today grown into a proud enterprise with many satisfied customers all over the world.